Wir senden Ihnen einmalig eine E-Mail an die Adresse , sobald das Produkt Ping Prodi G Junior Set Small (1,32 m - 1,42 m) Holz, Eisen, Wedge, Putter, Bag verfügbar ist. 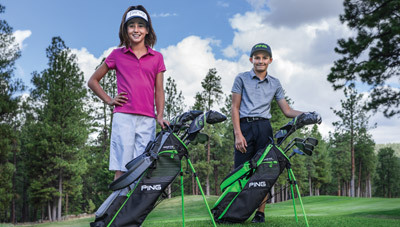 Prodi G junior sets offer the same score-lowering technology of our adult sets custom-engineered to fit golfers ages 7 to 13 and between 4' 5" and 5' 2". With the "Get Golf Growing" Program, buy at least five clubs and you're entitled to a one-time, no-charge service to have the clubs re-shafted or lengthened, re-weighted, and re-gripped as the golfer grows. 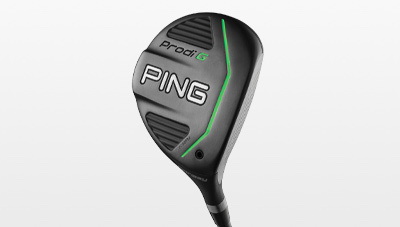 When you buy five or more clubs in one transaction you are entitled to a one-time, no-charge service to have the clubs re-shafted or lengthened, re-weighted, and re-gripped at PING to optimize performance as the golfer grows. 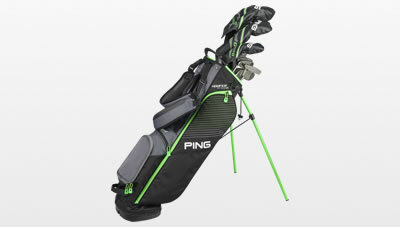 You effectively get two sets of clubs for the price of one set. 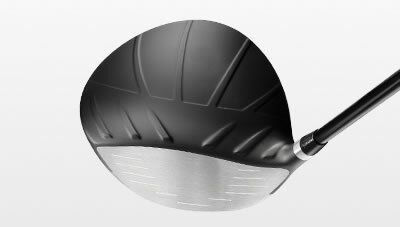 Juniors can add 15 yards off the tee over the top-selling junior driver with this more forgiving, more aerodynamic 460cc titanium driver. 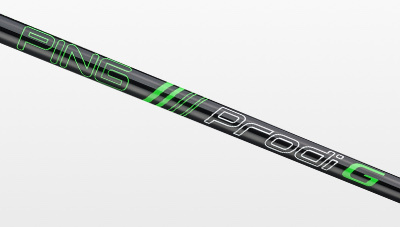 It offers speed-inducing crown turbulators, forgiveness from dragonfly technology, and a lightweight graphite shaft to help generate power. 17-4 stainless steel heads (6-PW) are perimeter-weighted for forgiveness and an elastomer insert ensures soft impact. 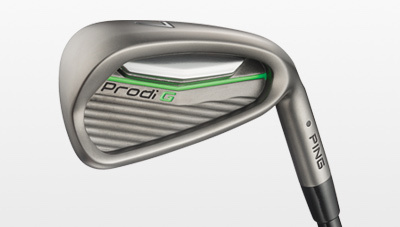 Optimized loft configurations help launch the ball high, far and straight. 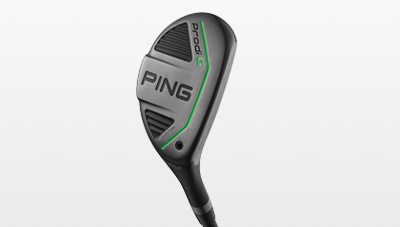 The 22° fairway wood has a thin, machined 17-4 stainless steel face and is easy to square for increased speed and distance from the fairway or the tee. 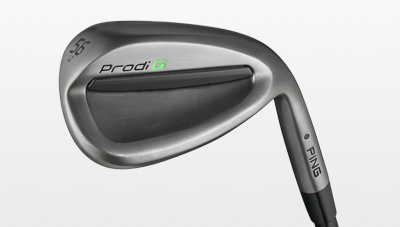 Styled after the Glide 2.0 wedges to optimize spin and control around the greens, the lightweight 17-4 stainless steel 52° and 56° have an elastomer insert for a soft feel. 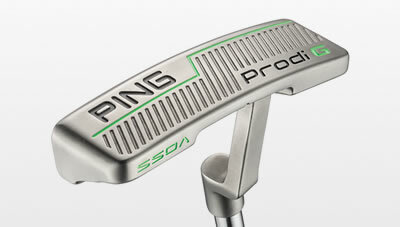 Inspired by the Voss model, this 320-gram, highly forgiving putter has a ball-width cavity to help with focus and additional alignment aids to assist with aiming. 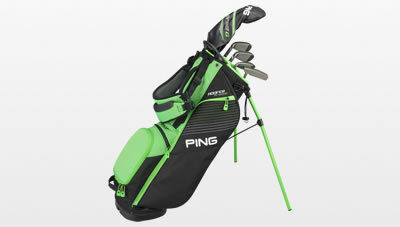 The 34-inch-tall bag is a good fit for golfers 4'9" to 5'2". It weighs only 3.5 lbs., has four pockets, easy-adjusting padded shoulder straps, and a four-way top. The 30-inch-tall lightweight carry bag weighs only 3 lbs. and is designed to fit golfers approximately 4'5" to 4'9". It has four pockets, easy-adjusting padded shoulder straps, and a four-way top.